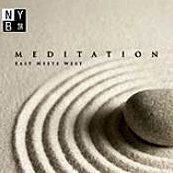 I was fortunate to contribute several tracks to a new Killer Tracks album called Meditation: East Meets West. The tracks are all ambient electronic-acoustic tracks. Unfortunately I can’t link to the album, since Killer Tracks’ web site is all Flash, but it can be found by using their custom search tool, and the music on the album is available for licensing.